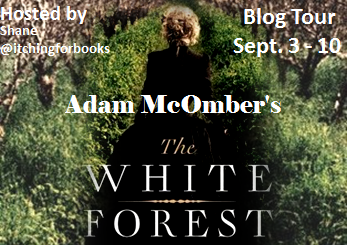 The Adam McOmber's The White Forest Blog Tour starts today!! Follow the tour and enter the giveaway for a chance to win a signed copy of the book. Sept. 11 *Release day!! Giveaway winner announced!! What an intriguing synopsis. I'd love to win a signed copy of The White Forest. Thanks. Sounds like a fantastic read! Can't wait to read it!